If you were hoping to be surprised by Huawei in a few days when the Chinese manufacturer is supposed to officially unveil its next P-series flagship… well, you might want to avert your eyes and skip this story. We’ve just been given another look at what the Huawei P10 will look like, less than a week from its official launch at MWC 2017, thanks to Evan Blass on Twitter, who happens to have a pretty good track record when it comes to giving the latest mobile news before it officially happens. From the render posted, the design looks very similar to the P9 – the only major difference being the addition of a home button on the front. But we’ll admit, this phone does still look pretty slick. 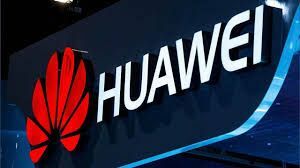 Knowing how great a phone the Huawei P9 is, we are expecting some wonderful things from the Chinese company’s next flagship, the P10, with rumours suggesting the handset will be equipped with top-tier specs. Some of the first hints claimed the phone would sport a 5.5-inch screen with a 1440 x 2560 pixel resolution and house a Kirin 960 CPU under the hood with a whopping 6GB of RAM and a massive 256GB of internal storage. The P10 is also rumoured to come in multiple colours – black, blue, green, gold, pink and purple. How much truth there is to those colour rumours remains to be seen, but Evan Blass did also give us a look at some of those hues. Regardless, the P10 rumour mill will be shut down soon enough; we’ll know more with the official announcement at MWC in a few days and, as always, we’ll bring you that and every juicy phone-related tidbit that happens in Barcelona this year. Here's what you can expect at the MWC 2017.